We’re constantly striving to make Hotels Fairy more useful and more enjoyable for travellers across the world. Our website is genuinely 100% FREE to use and their is no membership required – it is truly here to save travellers like yourself time and money. So we need to know what you think. How do you like the current price comparison website, and how can we improve it in future? Just fill in the feedback form at hotels-fairy.com/competitions and you’ll be entered into a draw to WIN a Lonely Planet travel guide of your choice. The Lonely Planet travel guides they don’t need introduction. 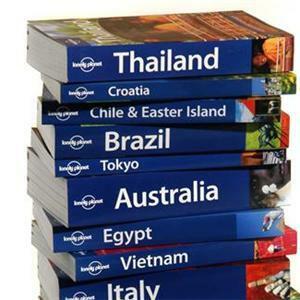 Started in 1973, Lonely Planet has become the world’s leading travel guide publisher with guidebooks to every destination on the planet, as well as an award-winning website, a suite of mobile and digital travel products, and a dedicated traveller community. Lonely Planet’s mission is to enable curious travellers to experience the world and to truly get to the heart of the places they find themselves in. Lonely Planet travel guides are like a travel cyclopedia written by locals all over the world, with the most relevant and up-to-date advice on what to see, what to skip, and what hidden discoveries await you.